A kids' guide for a playful summer day. Jonathan might be young but he is already an experienced traveller. The world is his playground! Waking up with the first sunbeams in the morning, I pull my dad out of bed. After having my muesli for breakfast, we go running to the outdoor training trail at the river Isar. When I was here for the first time I was only two months old and stressing out my dad because I was so hungry for my mum’s milk. But now that I am three years old, I climb the machines, discover the woods and scramble around the nearby playground. My favourite place to have a picnic, play football and dip my feet into the water is nearby as well: Rosengarten. Our next stop is Café Dukatz for a “pain au chocolat” and watching the street life from the little bar inside. 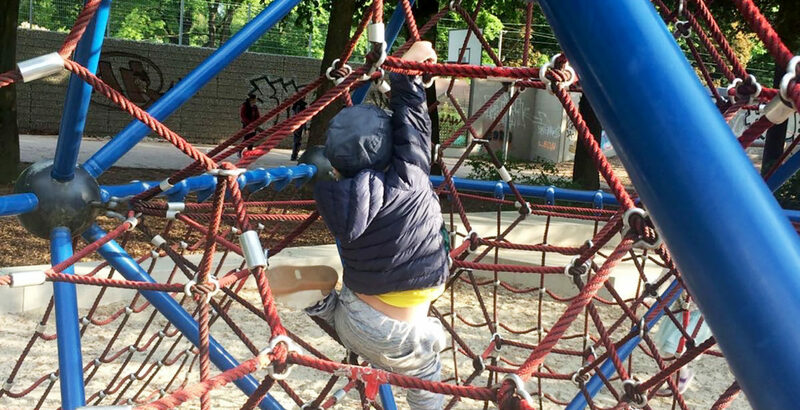 Then we head to the playground at the Glockenbach – water pump and climbing paradise! While I’m having a blast my parents can get some tasty snacks “to go” at Café Schneewittchen, which is right next to the playground. Two great kids’ stores are nearby, too. The first is Zuckerschnürl, where we buy presents for my friends’ birthdays (and sometimes my mum can’t resist buying something fancy for me too, and she’s also a big fan of the pretty postcards they sell – girls…haha). The other one is Sohletti which is a good shop for high quality kids’ shoes… at least that’s what my parents think. I prefer the sneaker shop early near Viktualienmarkt for buying my shoes. Their slogan: “sneakers not diapers” says it all. On the way we stop at Café Creme for a Haribo marshmallow mouse and a kids’ cappuccino, at Lese Lotte for books and at Auryn for a new toy. My favourite ice cream parlour is Jessas. Their coconut sorbet and chocolate ice cream is so yummy – I could easily live off it! Another playground that has captured my heart is the playground at Wiener Platz (also sunny in the evening hours). I’m starting to get hungry by now, so we go to the Fischhäusl (the best time is 12 noon sharp) and gorge ourselves on grilled octopus, calamari or fresh fish of the day. Take a seat in the backyard at the little fountain! Even for my grandma from Hamburg, the Fischhäusl is high on her bucket list whenever she is visiting us in Munich. 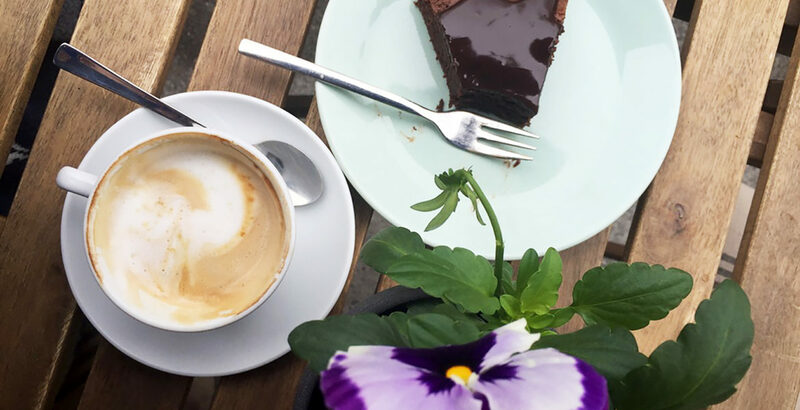 Another favourite lunch spot of mine is the Pommes Boutique in the district Maxvorstadt. I love their french fries! 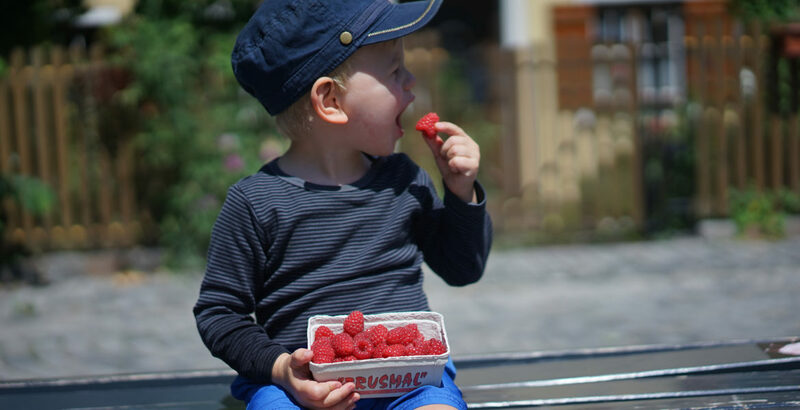 For a snack in the afternoon we get some raspberries at the fruit store of K. R. Kropp, who used to be a swing trumpeter in the Munich orchestra. Afterwards we head to the Isar beach at the Praterinsel; the best spot for kids is down the hill at the little playground. Here we collect stones, throw them into the river and go for a little swim in the very shallow water. After waking up from my afternoon nap, we either grab some ice cream at True & 12 Handmade Ice Cream or some yummy pizza next door at Pizzesco’s. The neighbouring shop Buch Perthel has some great books for kids. Have a look! At the moment, I especially love the kids’ atlas “Alle Welt.” A must-have book for kids who love to travel. At the end of my perfect day we pop in the toy shop SpielART to look for some new secondhand toy cars or animals. By the way, another favourite spot of mine in Munich is a classy one: the Deutsches Museum. Inside there are three must-sees: the planes, the model railway (check when the show is on!) and the children’s paradise in the cellar. Don’t forget to bring some clothes to change into, you might get wet at the water games – no, wait – you have to get wet! The playground in Kronenpark / Obergiesing is amazing, too. It’s where we used to live and where I spent the first two years of my life. We went there like every day. 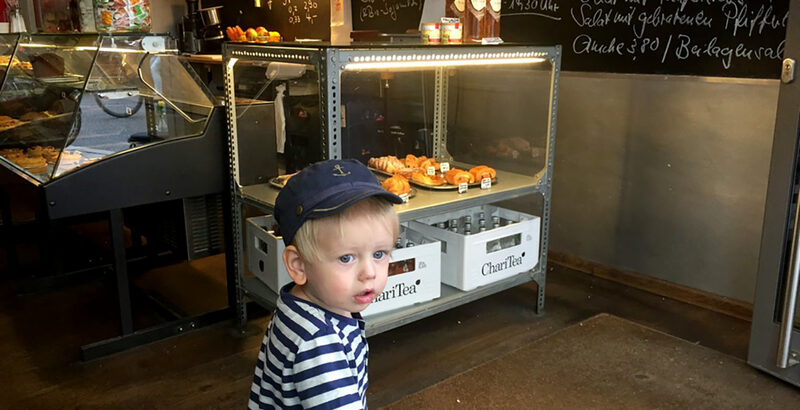 For the parents: grab a coffee and a “Vanilleschnecke” (vanilla pastry) at the café Liebreich. Have great salads and lots of other home made food for lunch at Café Sonnenschein and buy some cheese at Giesinger Käsealm. In the evening, get a babysitter and head to Upper Eat Side for a nice piece of meat. If you like Turkish food, Keko is the place for you. Oh and don’t miss the Saturday market on Mariahilfplatz. You will probably meet me there, together with my parents and my little brother. Come over, say “hi, let’s play!” and off we go. ps. 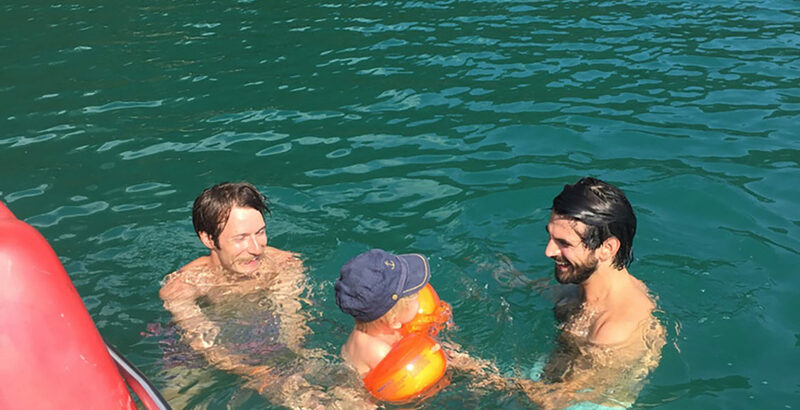 : for swimming in summer I love the natural pools Maria Einsiedl and Naturbad Samerberg, every spot along the Isar but especially somewhere near Flaucher and lakes outside the city, such as Pilsensee, Starnbergersee, Eibsee , Deininger Weiher and most of all Walchensee. Great spot for climbing, discovering the woods and running - a small playground is close by! Sit at the small bar inside and watch the busy street life in the morning. 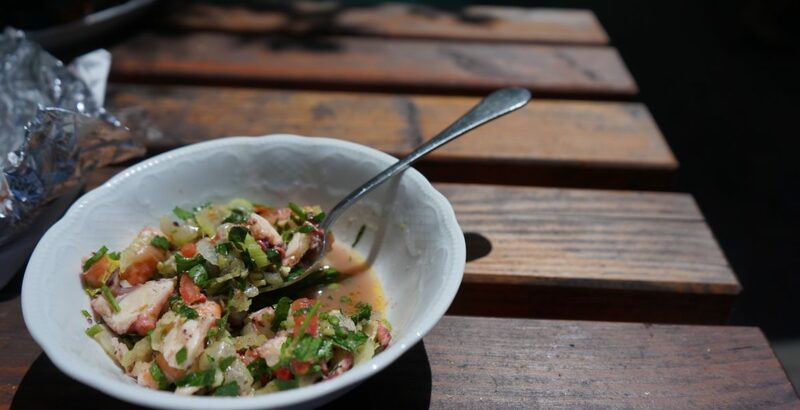 Mouth-watering fish dishes for lunch - get the grilled octopus and calamari! Perfect for kids to go swimming because of the shallow water. When you’re tired of throwing stones into the water, head to the nearby playground. Don’t forget to bring a blanket! Ice Ice baby - get pistachio! Best for a quick snack after a summer swim or a little afternoon nap. This secondhand toy shop has been around since 1994 and is full of old-school toy cars, animals, trains... and much more! THE playground in Munich, sporting a water pump (!) and a climbing paradise. It’s great for kids of all ages. Parents can grab a coffee "to go" at the nearby Café Schneewittchen. Treat yourself to some sweets or coffee "to go" (for tired parents) and get back to playing at the playground beside it. A classic you have to visit when in Munich. Bring extra clothes, because kids obviously love the water games the most. Such a fun playground and so close to the yummy food stalls at Wiener Platz. A beautiful little green area, perfect for having a relaxed picnic. Absolutely lovely, specially designed items for the children’s room as well as the parents’ empire. Make your home as cosy as it can get! Get a pair of colourful rubber boots for jumping into every puddle in case it rains - so much fun! Cool starts early! We love buying mini sneakers here. I wish I could move in here during summer and just munch on their ice cream all day long! A huge bookstore full of fascinating stories I want to be read before bedtime. A wonderful playground with lots of equipment and a water garden. I love their yummy chocolate muffins and my mum loves their interior accessories (especially the candles that smell just like the way that wine tastes - perfect for breastfeeding mums who miss their glass of Chardonnay from time to time). Good vibes, homemade cakes, daily changing lunch menu and cosy interior. A perfect place for family meetings! I enjoy a slice of my favourite cheese while my parents buy their favourite "grown-up" stuff, like wine and coffee. This is where my parents go and enjoy a delicious dinner full of fresh and local products, while I stay at home with the babysitter. Very good Turkish food - we all love it! We often do our weekend grocery shopping at the farmers’ market at Mariahilfplatz, because they simply sell the best local and organic products. Besides, it is so much fun to run around there and chat to the friendly stall owners. A cosy little café. 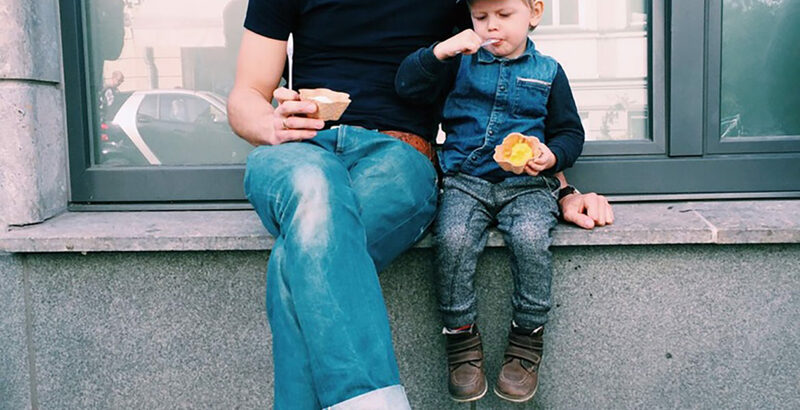 Perfect for grabbing a snack in between playdates. Great book store for kids! Organic, fair trade fashion and toys for the little ones! 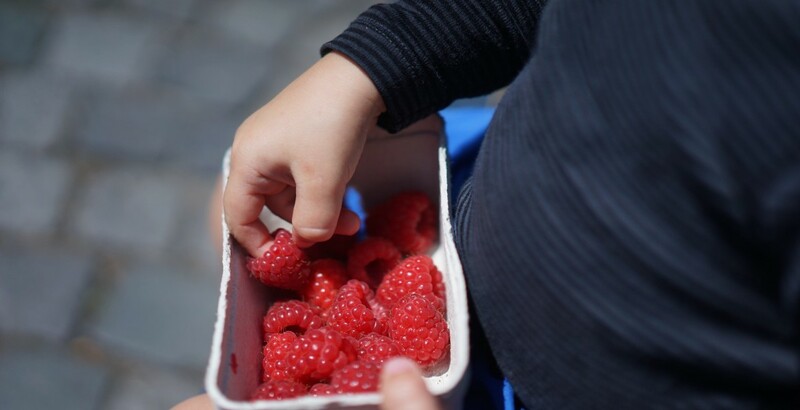 Yummy raspberries and other sweet and healthy snacks. One of the most beautiful outdoor pools and a natural pool on top. Another natural pool in a wonderful remote area, about one hour from Munich by car. The Flaucher area is an ideal area for having a barbecue and a swim in the Isar. Head to the lake Pilsensee (about 45 minutes from Munich by car) for a nice day by the lake and a great lunch at the Seehaus. There are many spots around the lake where you can park your car and lie down next to the water. The beautiful lake Walchensee is one of the largest alpine lakes in Germany. Walking around this lake makes you feel like your're in Canada all of a sudden. 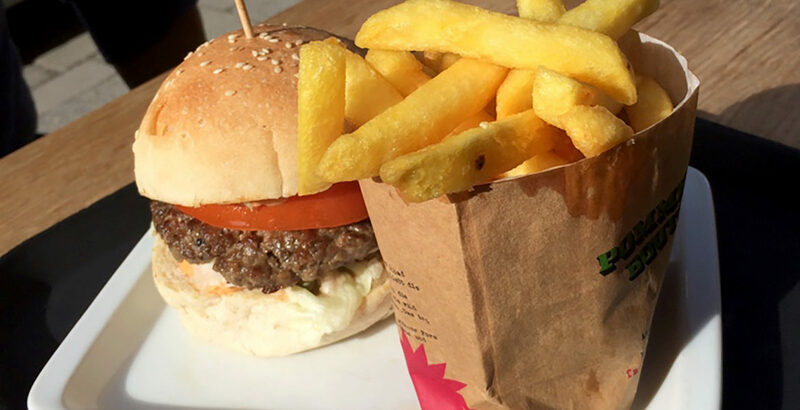 Yummy burgers and awesome french fries! You're there in no time, about 35 minutes from Munich by car. It's the perfect hideaway when the city is crowded in summer. 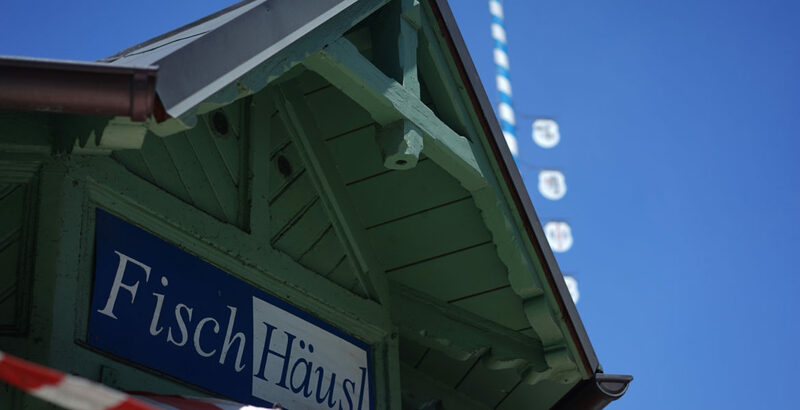 Head to Wiener Platz where you find the stall Fischhäusl selling the best and freshest fish. So good! 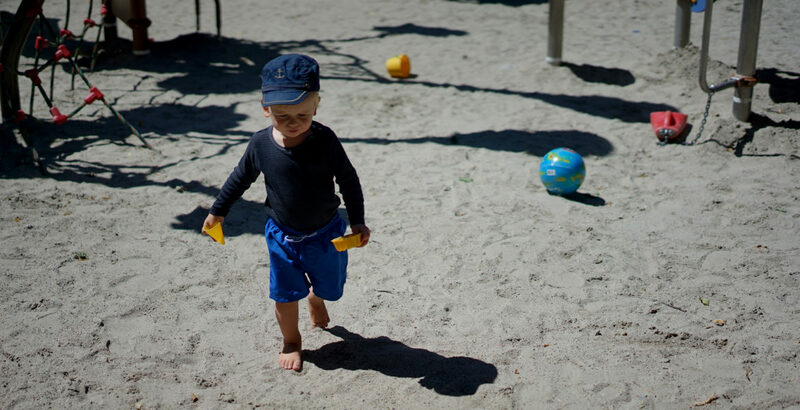 The playground at Wiener Platz is one huge sandbox. That's cool! Hmm chocolate cake is my favourite! Have a picnic at the wonderful little park Rosengarten. Jessas is the best ice cream parlour there is! I always go for mango and chocolate, of course. 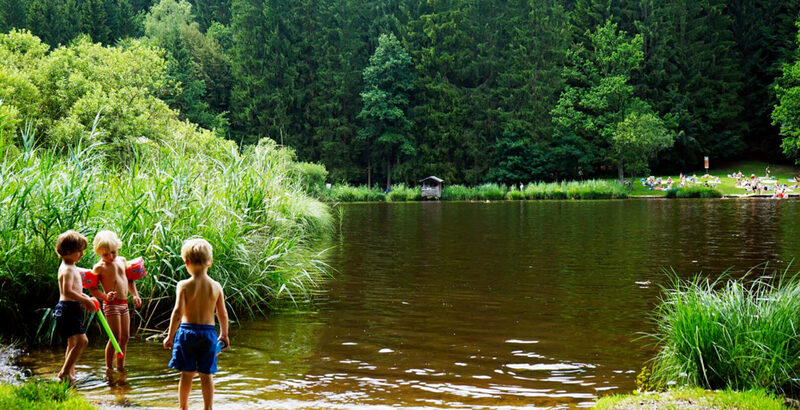 The Deininger Weiher is a perfect spot for kids to romp around and play with the mud of the pond. Grab some yummy snacks from Café Creme. 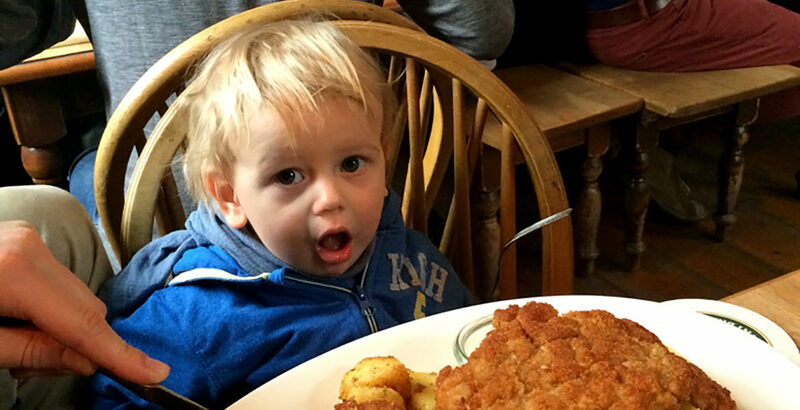 At Pommes Boutique you will eat the most delicious french fries. 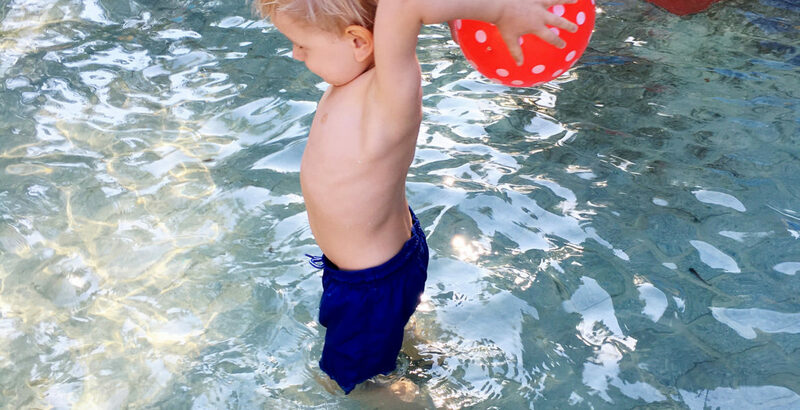 Splish splash yippee, it's summertime! A fresh dip into beautiful Walchensee. One of my favourite playgrounds after KITA is the one at Glockenbach. 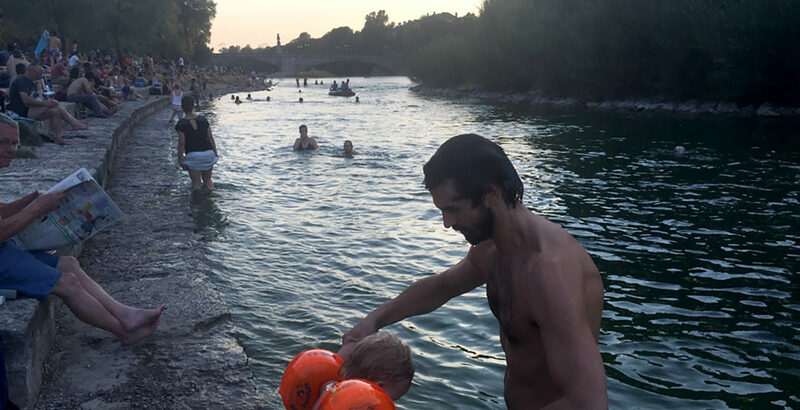 Dipping into the river Isar is the best way to cool off on a hot day in the city. I was born in Munich in summer and this is what I love the most: summer in the city! Swimming at all the white stone beaches at the river Isar, chilling at the sandy Isar beaches in the old English Garden, all the wonderful ice cream sellers, lake hopping in Munich’s surroundings and wandering barefoot through the city from one green island to the next – always with a Brezel in my hand. 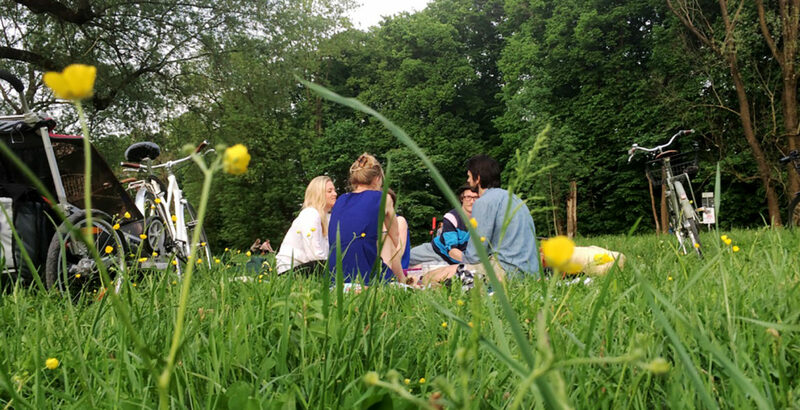 Life in Munich is easy, green, flowing and peaceful – perfect for growing up and having lots of fun! I love the live music of street artists in the Hofgarten! Watch them picking the strings while surrounded by renaissance buildings, water fountains and green gardens, right in the city centre. Find other kids and play, play, play till the sun goes down. Summer in the city - swim in the shallow water of the Isar next to the Praterinsel. Buying watermelon and mangoes at Wiener Platz. Hi, I'm Jonathan and I love to play outside! Making a fire with my dad while wild camping at Walchensee. How cool is that?! Another day – another playground. Catching some soap bubbles at Rosengarten. Shopping with my dad at Harvest store. Fascinated by these cuties at Hellabrunn. The last hour before going to bed: drinking chocolate milk, romping around with my dad and then reading a book with my mom (preferably about the fire brigade). Firefighters, wild animals, the woods, rivers and swimming pools, cooking and other kids. I love having him around as my best friend: he plays like crazy, but he also gets the moods and the vibes of the people around him and always makes them feel better! Playing, loving, dancing, singing, cooking. Wo der Weihnachtsmann wohnt, Was ist Was, Feuerwehr, Müllabfuhr and many, many more. Youtube: Helden der Stadt, Shaun the Sheep, The Aristocats, Ratatouille. Munich, Iceland, Rome, Hamburg, countries with an ocean or mountains. Life is a game—enjoy playing and growing! My backpack from Fjällräven (http://www.fjallraven.de/). I love wearing colours and patterns—but never more than three! Favourite combination: white/blue polka dots and red stripes with a tiger head. playing new games with new friends!